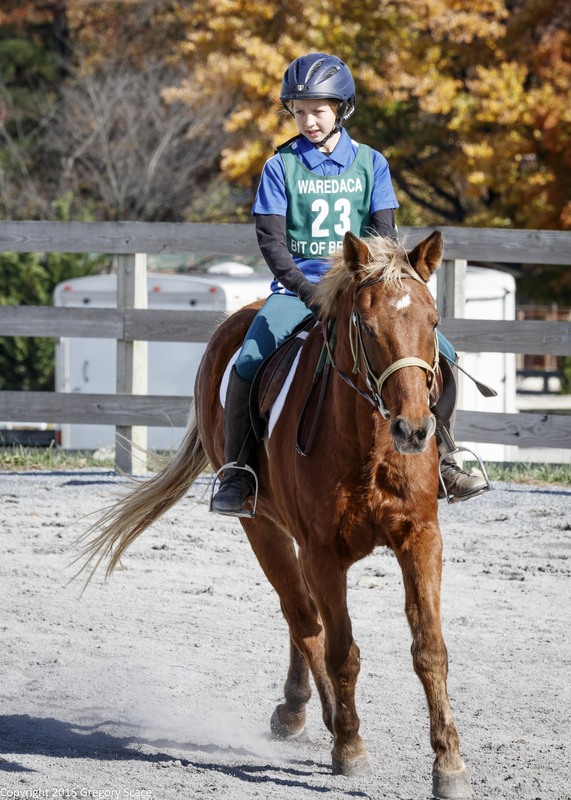 On October 31, twenty Waredaca Pony Clubbers participated in an in-house event rally with divisions of Introductory (ground poles) through Novice. In honor of Halloween, some members even came in costume with secret judges picking the best ones. Emerson Kasely was our winner aboard Waredaca’s Percy with Olivia Bowman coming in second with Waredaca’s Dee. Costume Contest winners Emerson and Percy. Our judges for the day were Mary Macklin in dressage, Carly Easton for show jumping and Brian Temme was our official cross-country starter. 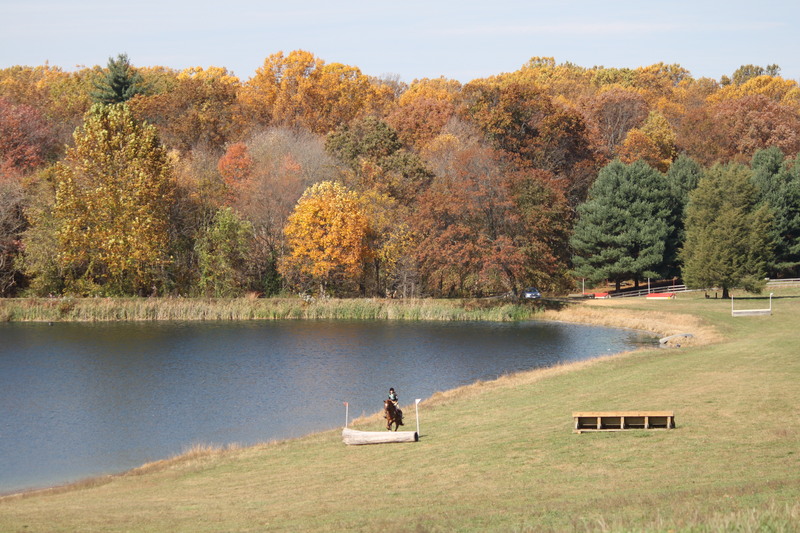 Erin Oberholzer had the best dressage score of the day, riding her own Austin to a 27.19 in Elementary. She finished third overall. 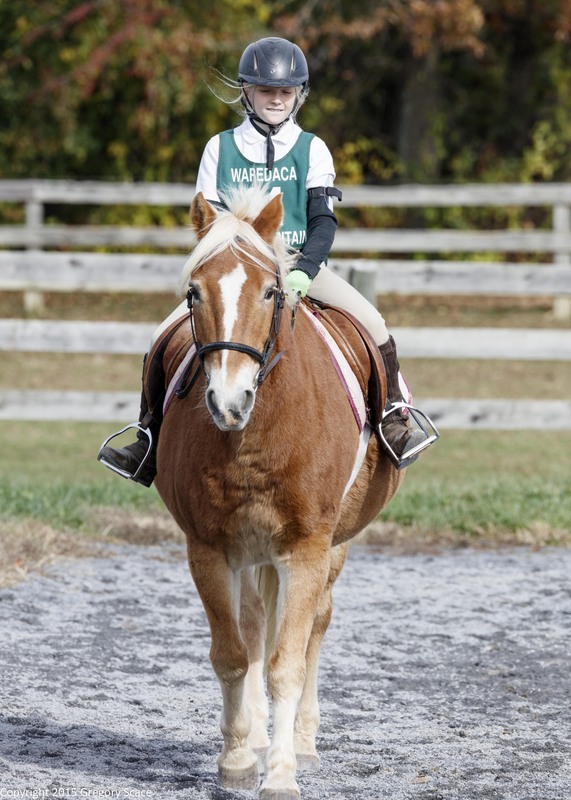 Emma Wolf won the Elementary division riding Waredaca’s Coach. 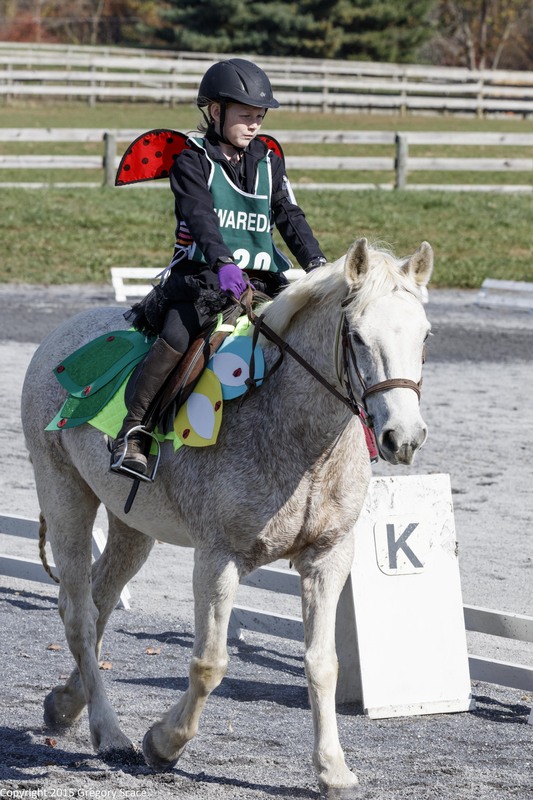 Our C2 Remy Nash rode her favorite pony, Waredaca’s Beetle at Novice. It was her first time competing at this level and she did fantastic job scoring a 28.26 in dressage and jumping clean in both show jumping and cross-country. This was also Beetle’s first time at this level! Annabel and Q on their way to winning the BN division! 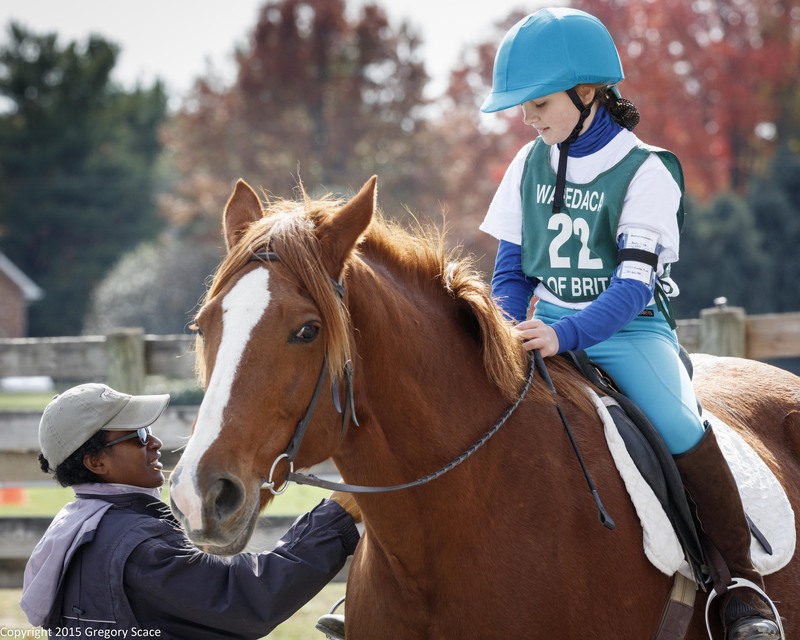 At Beginner Novice, it was Annabel Kaufman who rode her new pony, Q to win the division. The Introductory division was won by new pony clubber Claire Shioutakon aboard Waredaca’s Woody. A big THANK YOU goes out to all the parents who acted as volunteers throughout the day. As we at Waredaca know, you can’t have an event with out volunteers! 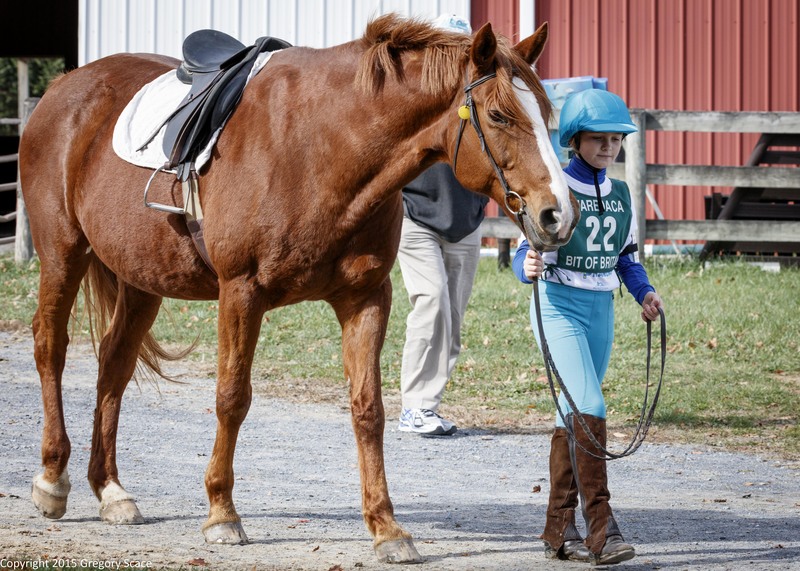 Also a shout out to Gretchen and Robert for allowing us to hold the rally right before the fall starter and Gayle for magically shuffling around horses for the day’s regularly scheduled lessons. 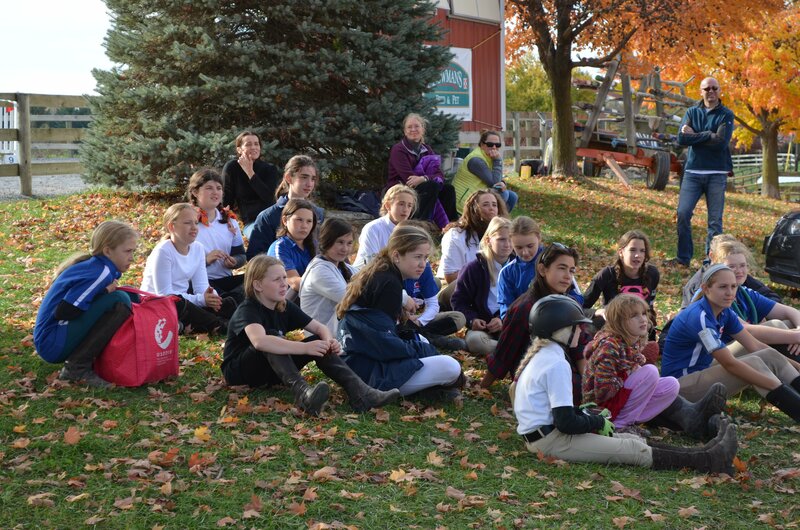 In the end, a successful day of smiling kids and happy ponies.